Aquarium researchers have established that the North Atlantic right whale calving grounds are off the Florida/Georgia border and their summer nursery and feeding area is in the Bay of Fundy. Those solid facts are actually relatively new knowledge, and the Aquarium’s right whale research team has been instrumental in filling in the habitat map for the most endangered large whale in the Atlantic. However, a few questions still remain, in particular where do the adult male and non-pregnant females go in the winter. 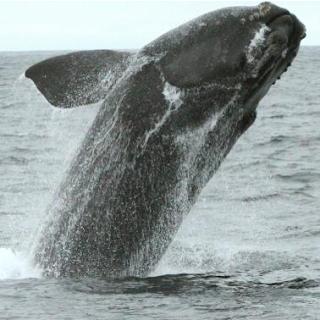 When reports over the last couple of winters identified large aggregations of right whales in waters 60 miles south of Bar Harbor, this was clearly an opportunity to learn more about that mystery. The only downside means trying to do field work in the Atlantic in the frigid weather and rough seas of a New England winter. Learn more about the researchers' current scientific pursuits in Maine in today’s article in the Globe, and check out the Right Whale Blog to get a real feel for a these chilly expeditions!